WEST LAFAYETTE, Ind. — Pets are living longer thanks to better veterinary care, and just like humans, these aging cats and dogs need special care, says a Purdue University veterinarian. Some small dog breeds are considered geriatric at 15, and large and giant breeds, such as Labrador retrievers and mastiffs, are considered seniors when they are just 7 years old. Some small dog breeds are considered geriatric at 15, and large and giant breeds, such as Labrador retrievers and mastiffs, are considered seniors when they are 7 years old, Corriveau says. Cats, especially indoor cats, live longer than dogs in general. Just like people, dogs and cats are prone to debilitating ailments as they age, such as kidney failure, heart disease, arthritis, dental disease, cancer and cognitive dysfunction. Pets have more health care resources available to them, such as a new generation of non-steroid anti-inflammatory drugs, which keep side effects to a minimum while managing aches and pains. 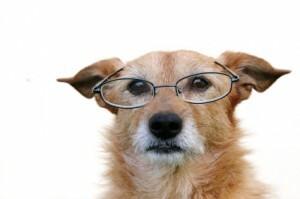 The most important thing a pet owner can do is schedule regular veterinary exams, she says. Depending on the pet’s health risks or symptoms, these exams may include bloodwork, blood pressure checks, radiographs or electrocardiograms. Loss of bladder control or noncompliance with house training. Bad breath, drooling or changes in appetite. Excessive panting or exercise intolerance. Lumps or changes in areas of skin color. Change in appetite such as eating more or less than usual. Changes in behavior such as disorientation or excessive whining. Unusual bowel habits such as diarrhea or constipation.